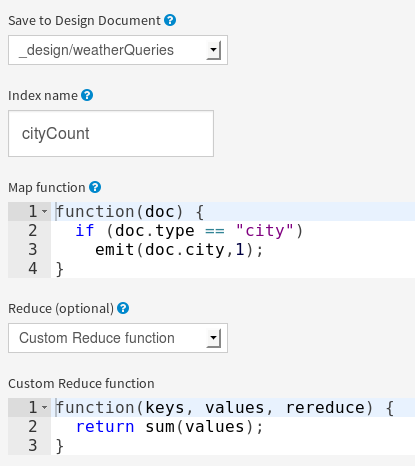 My last two blog entries were about getting started with Python on IBM Bluemix and how to use a custom domain with my Bluemix weather application. 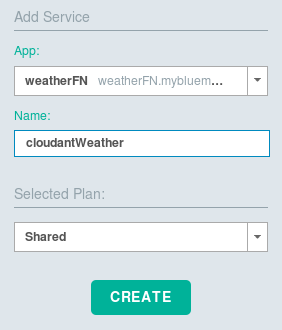 Today I am going to show how I added Cloudant and couchDB to my application, both locally and on Bluemix. 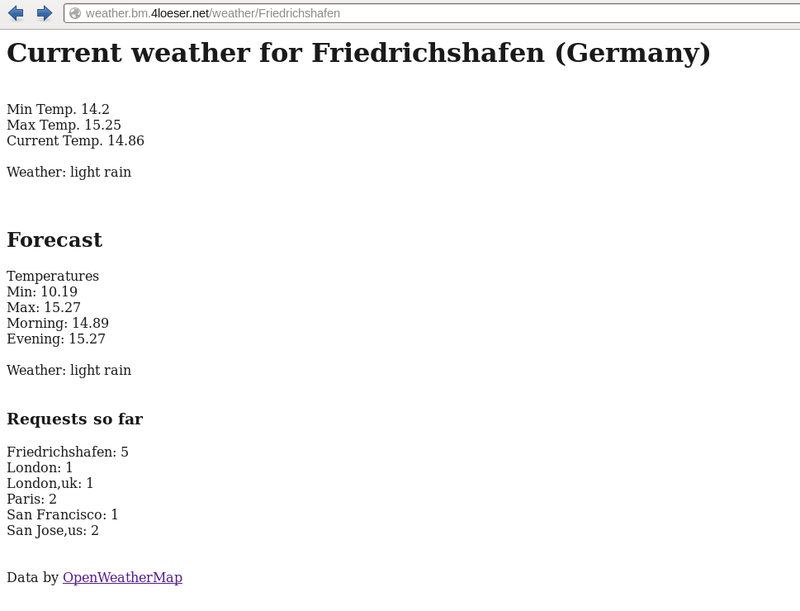 Storing the weather data locally doesn't make sense because I can query much more historical data on OpenWeatherMap. So I am going to use a database to log information about for which city and when the data was requested. That information, in aggregated form, could then be reported as fun fact to each user of the app. I chose Cloudant because it is simple to use, adequate for the intended purpose, has free usage plans on Bluemix, and I can use it and test locally as couchDB. The code itself is relatively simple and I put comments (shown at the end of the article). The interesting part is how to add a Cloudant service to my application on Bluemix, how to bind them in the application, and the preparation work for the database itself. So let's take a look at those steps. Cloudant is offered as one of several services in the "Data Management" category on Bluemix. 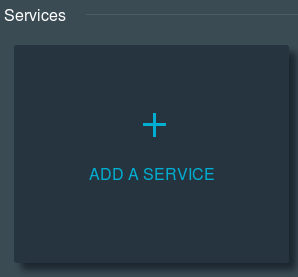 While on the Dashboard you simply click on the "Add a service" button as show on the right. Navigate to the Data Management section and choose Cloudant.